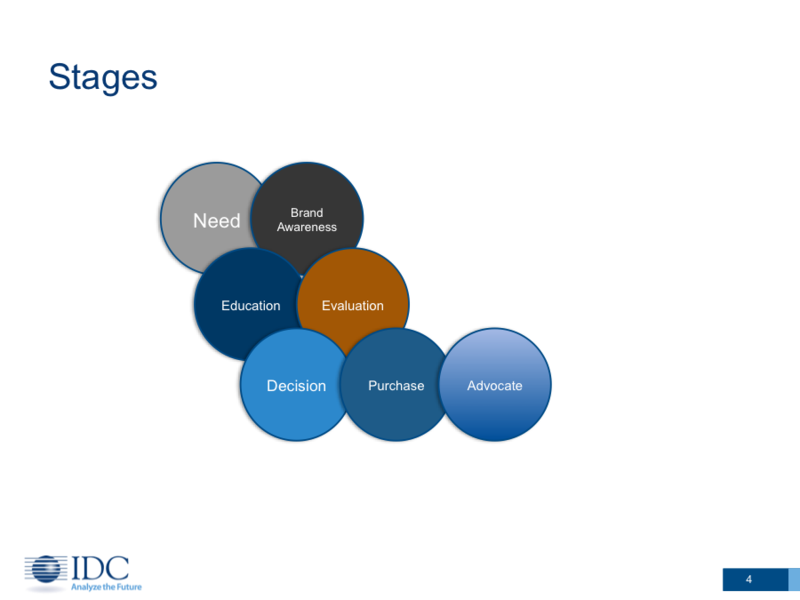 Moving from outbound to inbound marketing is perhaps the most difficult transition for most marketing organizations. Outbound marketing, or the process of “pushing” the company’s messages out through multiple channels, is at the core of most traditional marketing organizations and processes. Inbound marketing, or promoting a company through the use of relevant content and trust based interaction to build relationships with prospects and customers, is considerably different from the traditional marketing approach. The fundamental shift is from broadcasting (or bombarding) a message out through cold-calls, ad purchases (on and off line), direct mail, email, radio/TV, telemarketing, etc. to a relatively un-targeted set of prospects, to providing opportunities for interested prospects and customers (having indicated some interest in your products or services) to gain insight through the interaction with relevant content. This content can be in the form of social media like blogs, blogs, YouTube, activity on social networks like Twitter, Facebook, LinkedIn, or even more traditional content like whitepapers, eNewsletters, eBooks, etc. The content is designed to inform and establish thought leadership, and in the end goes a long way to building credibility and trust. 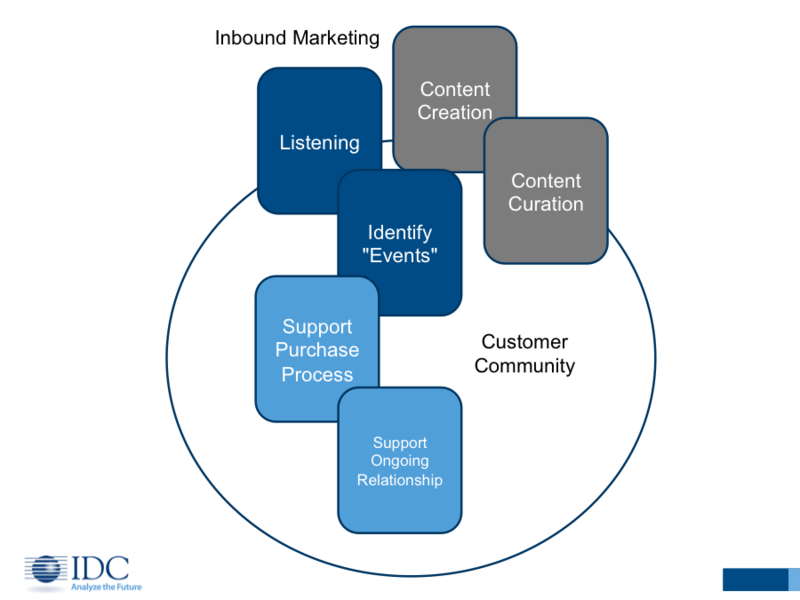 In addition to the content thought, inbound marketing is all about context. In other words, it’s about getting the “right” (relevant) content to the “right” person at the “right” time. This is accomplished through customer data centric marketing, or using available online and off line data to effectively target content to individuals who have indicated a proclivity for that specific content. Put another way, if I expressed in a post on Twitter that I was looking at new cars, asking for advice on BMW’s, and the local BMW dealership was listening, they would have an opportunity to offer up relevant content to “help” me in my search (and not to spam me, bombard me with “special” offers or hound me with a sales person). If I’ve indicated that I”m interested in information about your brand/products and you 1. are listening and 2. provide that relevant content, you are likely to create a situation where I might interact with you and eventually look to you for that product. From a people perspective inbound marketing is quite a mental and cultural shift and has proven to be a challenge for traditional marketing organizations. The concepts are in many ways backwards from the outbound approach. The cycles and planning process is also very different, something we’ll look at in another installment of this series. Culture change is hard, and needs a combination of approaches to be successful. Clear processes and training on each of them can go a long way to helping people understand the new approach. In some areas you will need new skills and perhaps new employees to make the specific piece of the program successful. This is particularly true in the community part of the program. Community management is a profession and I’d strongly suggest that you bring in an actual (experienced) expert for this critical activity. For help with this, check out the Community Roundtable. This is only a high level look at inbound, but hopefully it helps stimulate some new thinking for your organization. In part three we’ll look at some of the other issues in more detail.